Android users often argue that they are better off than iOS users since they can enjoy much more customizability on their devices. While this may be true – since Apple’s stock OS is aimed at being standard and simple to use – there are certain things that both iOS and Android users would want to download from third parties. Among this list is AppValley android app installer that allows you to play modified games on your phone! All you need to do is to download the files referred to as AppValley ( About ) APK, and you will have all the tweaked apps, modified games and what iOS user gets to install on their devices. First off, let us look at how AppValley work. Much like tweaked apps, these files are downloaded on your device in the shape of apps. They are installers that give you access to a library of games you can play. Here are some key features of AppValley, which have made them extremely alluring! Remember the days when you used to carry your handheld Gameboy everywhere? We are sure you can still do that, except that those devices do not work very well today, both in terms of functionality and convenience. Instead, it is easier to carry your cell phone in your pocket. With AppValley, you can turn your phone into your Gameboy! AppValley is easy and safe to use. They do not pose any threat to your phone since they can simply be downloaded and deleted like any other app. Especially with Android, you don’t have anything to worry about. Getting all your favorite games in one place is the aim of AppValley like Play Store, and it doesn’t get any better than that! Without carrying any extra devices and consoles, you can have all your games on your phone, provide the best experience possible. While they can be downloaded directly onto iOS, AppValley for Android requires you to use the APK file. This might seem a bit tech-savvy, but you just need to follow the instructions to get it right in the first go. Download the AppValley APK file onto your computer. A zip folder will download on your computer. Extract the contents. Email this file to yourself. You can also upload it to cloud storage. On your phone or tablet, prepare for the download by enabling your security settings to accept it. For this, go to Settings>Security>Unknown Sources, and enable the latter. 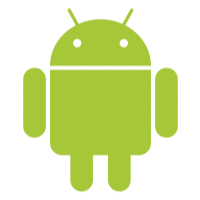 Now, access the AppValley APK file from your Android phone or tablet. Tap the file to begin the download. Tap on the downloaded file to begin the installation. After a few minutes – depending on your Internet connection, AppValley will be on your phone! You can nor begin to enjoy AppValley apps on your Android device. This is as close as it gets to the actual AppValley experience! Follow our Facebook page to stay updated with new information.